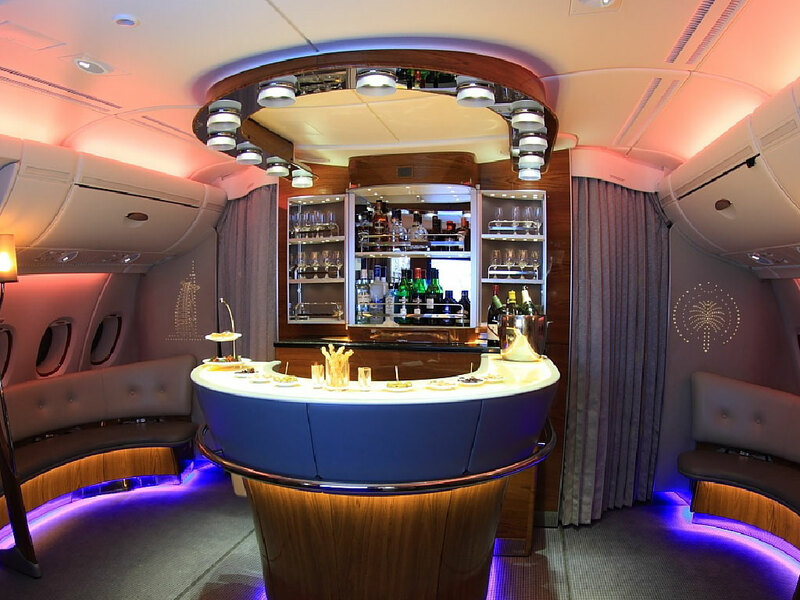 The refreshment of the Emirates A380 Onboard Lounge gave AIM Altitude the opportunity to modernise the iconic horseshoe bar and to create a lighter, airier feel, with a more contemporary finish. 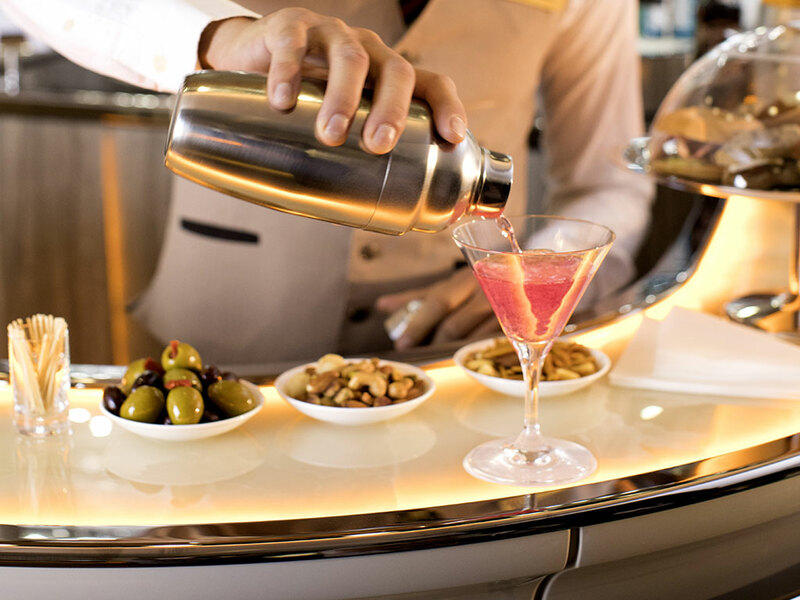 First engineered and manufactured by AIM Altitude in 2008, the bar and lounge has undergone subtle enhancements throughout its existence but this latest refresh is on a much more significant scale. 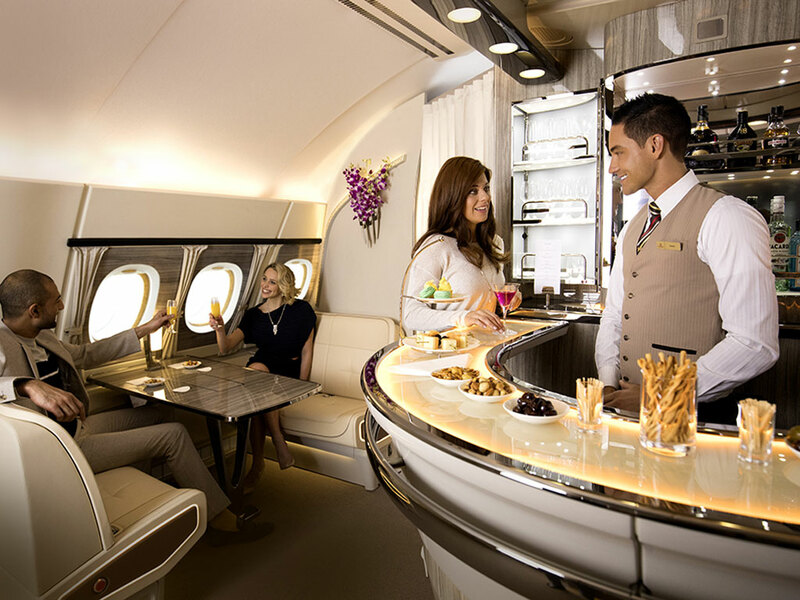 AIM Altitude’s engineering and manufacturing solutions were employed to create more social seating arrangements, highly sculptured and reminiscent of private yacht cabins. The Automated Lighting Dimmer (ALD), first introduced to the aerospace industry by AIM Altitude, manages the LED mood lighting system. Customised laminates feature the UAE’s national Ghaf tree, in decorative gold foil; and a mixture of high-end leathers, with elegant gold perforated detailing, create a feeling of sumptuous sophistication. The sleek new lounge and bar, with its clean ivory palette and wood grain accents, will be in operation from July 2017. 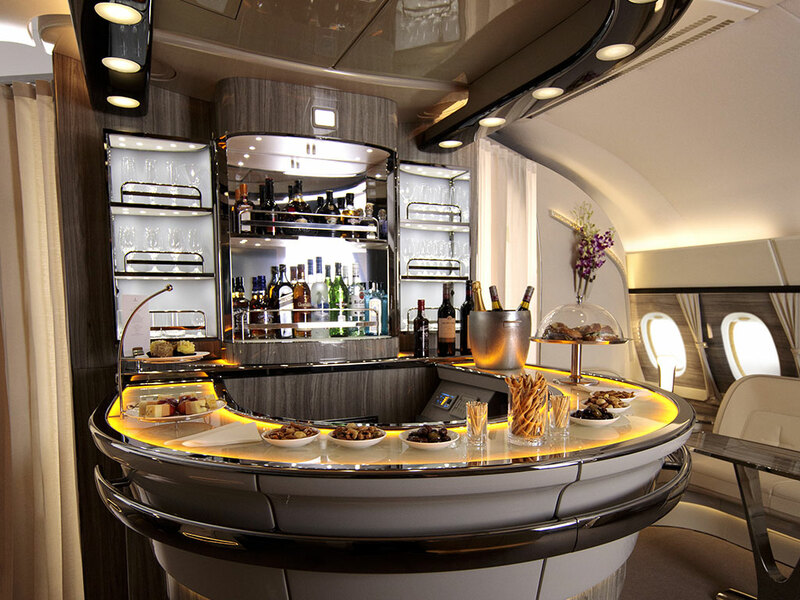 Designed by Emirates in collaboration with industrial designers, Pierrejean Design Studios, and developed by AIM Altitude for the upper deck of Emirates’ Airbus A380 aircraft, the Onboard Lounge comprises nine individual elements providing an unique social interaction and refreshment zone. 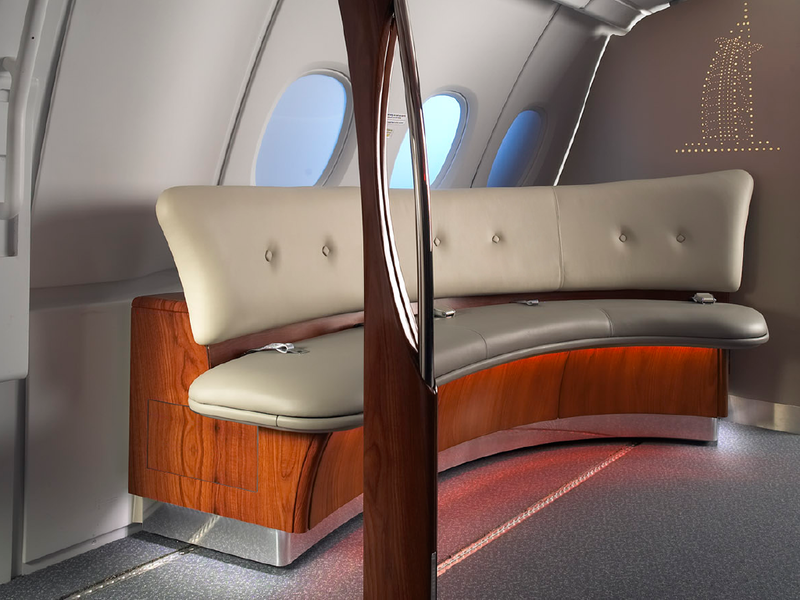 After take-off, invited passengers find a welcoming lounge with Chameleon™ warm-wood finishes and extensive lighting features. The lounge is finished at its rear wall by a full-height furnished unit, displaying commercial aviation’s largest video entertainment display.